T-Mobile Arena is the premiere indoor venue in Las Vegas, Nevada that hosts various events ranging from the NHL’s Vegas Golden Knights home games, UFC fights, concerts, and basketball games. Since T-Mobile Arena hosts such a diverse number of events, it’s important to understand the different seating maps and configurations that can chance depending on the event which is taking place on a given date. This is why we’ve put together the most comprehensive T-Mobile Arena Seating Chart around. You will find row and seat numbers, seat views, floor configurations, and much more. 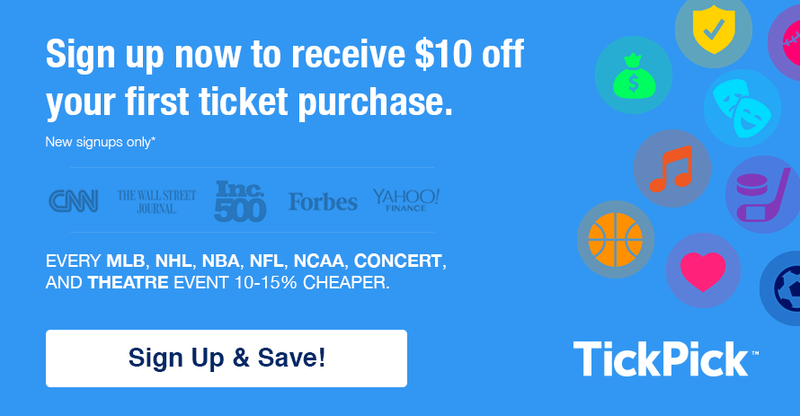 You can also browse TickPick for the absolute cheapest No Fee T-Mobile Arena Tickets. The seat numbers at T-Mobile arena follow a basic pattern where seat number 1 is always on the aisle closest to the lower numbered section adjacent to it. For example seat 1 in section 5 will be on the aisle closest to section 4. Another way you can look at it is when you are in your section facing the floor, seat 1 will be to your left. This same logic can be applied to the floor sections, including UFC fights. The Golden Knights shoot twice on the end of the ice with section numbers 9-12. The Golden Knights bench is in front of section 5, while the visitors bench is front of 6. The Penalty Box is located right in between Sections 15-16. If you’re looking for tickets in the 100s, it’s not worth paying a premium for rows 3 to 10, instead save a few bucks and sit higher to avoid the glass and net from blocking your sightlines. The best seats for any non-concert event at T-Mobile Arena (as the seating map may differ from event to event) would be in the Center Ice Club seats, located in sections 5 -6 and 15-16 on the opposite side of the arena. These seats provide the best views in the arena for any hockey or basketball game, and fans in these sections will be allowed access to the lounges next to these sections like the Bud Light Lounge and Jack Daniel’s Lounge. These lounges offer multiple HD televisions, upscale seating, and private cash bars. There are a few suite or club options at T-Mobile Arena for those who are willing to pay up for a premium experience. Keep in mind that all of these clubs and/or suites are available for all Vegas Golden Knights home games, while some may not be available for some concerts or other events. Opera Boxes are located just above sections 9 through 12, and each of these boxes can hold up to 6 to 8 guests. These guests will have a ledge on which they can place their food and beverages, and the chairs will be movable so that fans can sit within the box or out next the ledge to view the game. These boxes include in-seat wait service, with access to a nearby exclusive Goose Island lounge. Within these Opera boxes are a private restroom as well as HD television screens. Terrace Tables are located behind the Opera Boxes and some are at the top of select lower level sections. These tables are great for smaller groups, and each table can hold up to four fans who would be seated around a half-circle table overlooking the action on the ice. These tables include in-seat service and allow access to the club lounge on the suite level. Keep in mind that this is the standard concert seating chart layout, but many artists/events will have unique layouts that can impact the way that the floor layout is setup that can include a large general admission (GA) section for some artists’ tours. Check out the schedule of events at the bottom of this post to see the specific seating chart to the event in which you are most interested. The UFC/Boxing configurations can vary slightly by events, but this is the standard layout. The best seats for any fight are on the floor which give fans the up close experience including the sights and sounds made by the fighters that cannot be replicated, or in the elevated sections 5-6 or 15-16 that give enough of a raised perspective to allow for the fans in those sections to have a great view of the entire fight, no matter the fighter’s position in the ring or octagon at the time. There are a handful of basketball games played at T-Mobile Arena each year, headlined by the NCAA’s Pac-12 Conference tournament that’s held annually in March. As is the case with seating at all basketball games, the best seats will be center court in sections 5-6 or 15-16. Some fans may actually prefer to be higher up within the first few rows in sections 204-206 and 222-224 in order to have more clear view of watching the action develop in front of them. The T-Mobile Arena has abandoned traditional delivery methods for tickets such as hard stock or e-delivery (through PDFs), and has implemented a system of delivery exclusively through a platform called Flash Seats, which is a system in place designed to prevent fraud. A user would link the Flash Seats to a credit card or driver’s license, which is what the user would have scanned by the venue to admit them entry. For more information on Flash Seats including how it works, please read up on it in our Flash Seats blog. If you have any questions that weren’t answered by the blog, ask away in the comments below!